The Carisa Vesta Aluminium Vertical Radiator ﻿has a fantastic design with square vertical bars. 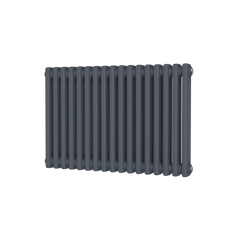 This radiator is simple yet elegant. The Carisa Vesta Vertical would be fantastic in any room. 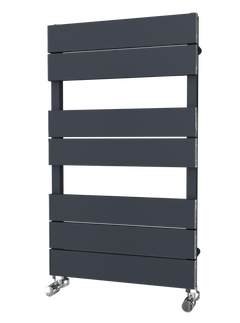 The SBH Midi Flat Towel Radiator is an elegant and simple ladder rail. Made from stainless steel with a contemporary look, this towel rail will not leave you short of hanging space. 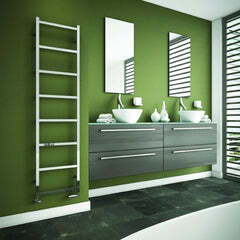 The SBH Mega Slim SQUARE Towel Radiator is a modern and simple ladder rail. Made from stainless steel, this towel rail will not leave you short of hanging space. The SBH JUMBO Curve Towel Radiator is an elegant and simple ladder rail. Made from stainless steel with a contemporary look, this towel rail will not leave you short of hanging space. The SBH JUMBO is a real quality rail and would look stunning in any bathroom. The SBH Midi Curve Towel Radiator is an elegant and simple ladder rail. Made from stainless steel with a contemporary look, this towel rail will not leave you short of hanging space. The SBH Midi SS206 is a real quality rail and would look stunning in any bathroom. 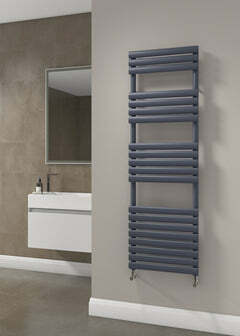 The Carisa Step Horizontal Aluminium Radiator has a great fresh look with lovely flat tubes running vertically. The Carisa Step Horizontal would be fantastic in any room. The Carisa Step Vertical Aluminium Radiator has an elegant design, that has clean lines and a fresh look. The Carisa Step Vertical would be fantastic in any room. Carisa Otto Verical would look exceptional in any room in the house, especially hallways, living rooms and conservatories.